1) Backwater logging:- Concerned about the fickle mindedness of the small investors the fund houses launched a convoy of closed ended equity funds, although these schemes had given a good returns due to the bullish markets, exiting them is not at all easy because if you want to exit before maturity than you will have to sell them at the stock exchange and the stock exchange had put 20% circuits on the prices so this implies that an investor cannot sell without incurring significant loss. So this year of 2015 avoid any new fangled ideas about investing as an open ended diversified equity fund would deliver the similar returns without compromising on the liquidity factor. 2) The goose-bump investors:-The stock market rally of the year 2014 was totally disappointing for those investors who always suffer from the goose-bumps and who stayed on the footpath thereby avoiding to jump on the fast lanes awaiting the correction and finally decided to jump into the bandwagon when the markets were to too high. The data of the mutual fund shows that almost close to 70% of the total inflows in the equity funds in the last five years have flushed-in in the past five months. Usually the investors wait for the good days to make investments but its not that the good days give you good returns, one must jump into the band wagon systematically, one must bear in mind always that whenever one thinks of investing in stock markets or in the real estate the price always appear to be on a very higher side. So as a matter of advice in 2015 do not wait and try to time the market. A systematic calibrated investment approach is always more reliable. Because there is no such thing as HISTORY REPEATING itself in the stock market there are no fixed route but one thing is for sure that make regular systematic calibrated investment as your habit, it will never let you down. 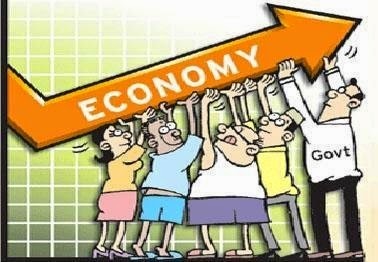 3) The higher interest rates:- After the bond prices hit a low in April and bounced back in anticipation of a rate cut as the inflation rate came down, also there were some feelers from the industry and nudges from the government did hardly have any positive signs from the RBI regarding the rates cut. Even the tax free bonds issued by the PSUs gained close to 20% and the long term gilt funds gave a return of 16.4% and in the coming months the time is for the fixed income as the drop in interest rates is imperative and so the long term bond funds are bound to do well. So as the long term bonds are volatile and to opt for the stability one can go for income funds or short-term schemes which are bound to give you reasonably great returns. 4) Gold opportunity:- The international gold prices are volatile and however the domestic gold prices fell close to 8% because the government had reduced the import restrictions on the gold and if the situations improves further the government may cut the 10% of the import duty. So in this New Year make it a habit that your portfolio has 10% to 20% exposure to gold. 5) The neo tax rules for the Non Equity Funds:- The 2014 Budget changed the tax rules for the non equity mutual funds thereby increasing the minimum holding period from one year to three years if they were to be treated as a long term assets. The option of paying the 10% flat tax on the long term capital gains was also waved. The tax at the moment is fixed at 20% with indexation which has done away with the tax arbitrage offered in the short term, so now the bank deposits are the better option than the short term FMPs of less than three years but conversely the long term i.e. over three years the debt funds continue to be more tax efficient than the fixed deposits. So do plan your investments accordingly.